Cheers to good health and strong research ahead! 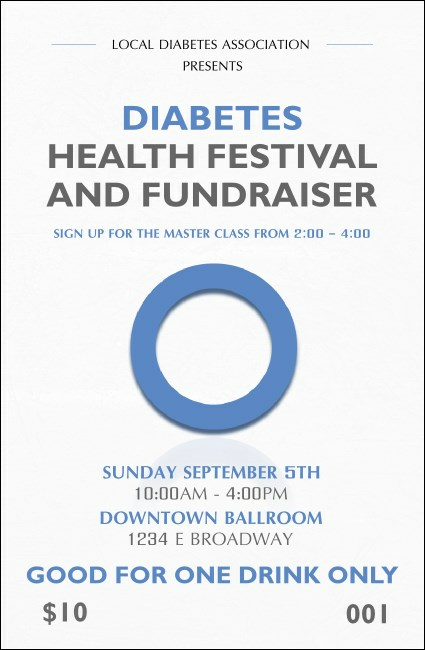 Distribute the Diabetes Drink Ticket at your fundraiser to help the volunteers and service staff. This simple, straightforward design features a blue circle in the middle, signifying unity in our efforts. List all details on the template and we'll ship them your way!